Virtual credit cards are credit card numbers that do not have physical cards and can be created instantly. They are created to pay for a single purchase for a preselected amount and can be used at nearly any business that accepts credit cards. 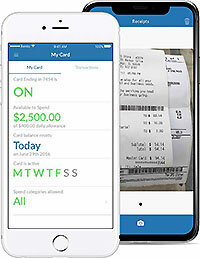 Virtual debit cards have gained in popularity among businesses. These cards offer businesses the ability to rid themselves of cumbersome payment processes and reimbursements while helping them to control spending and to help prevent fraud. According to a report by First Annapolis Consulting, virtual card spending by businesses in 2017 was estimated to be $132 billion. At the same time, the use of credit and debit cards for everyday spending has likewise become increasingly popular with 34 percent of people reporting that they use debit cards for most of their purchases while occasionally using cash. 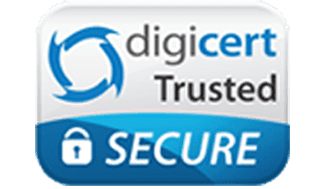 With more people and businesses using credit and debit cards online, it is important to do so securely because of the risk of fraud. Small businesses are especially at risk. According to the Association for Certified Fraud Examiners, the median loss that was suffered by small businesses from fraud was $200,000, which was nearly twice as much as the losses suffered by larger companies. One way that companies are reducing their risks of fraud is by switching their payment methods to instant virtual payment cards as a secure form of online payment. Virtual cards offer businesses a straightforward solution to expense management when payments and purchases need to be made. The virtual debit cards from Bento for Business can be generated quickly and issued on an as-needed basis for greater spending controls and flexibility. The Bento API is powerful, giving you the ability to fully integrate your cards with your system without substantial IT investments. You can set individual spending limits on the virtual debit cards. The same virtual credit cards API can be used for many different business needs, including procurements, online purchasing, paying invoices, department travel expenses, and more. How does a virtual debit card work? What is a virtual debit card? A virtual debit card can help companies to prevent expense leaks that could otherwise mount. The cards are not made from plastic but are instead virtual credit card numbers that can be used to make purchases while not being linked directly to your company’s accounts. This can prevent others from accessing your money, increasing the security of your deposits. As debit cards, a prepaid virtual card does not require a credit check and offers robust spending controls. You can limit the categories of spending on each card and set the limits by the day, week or month. They can be turned off after payments have been made or when your employees are not working. A virtual credit card is not plastic but is instead a temporary credit card number that is created in the cloud. These numbers are linked to your prepaid accounts rather than to lines of credit for which you must qualify. They allow businesses the ability to grow without worrying about credit qualifying or high rates of interest. A prepaid virtual credit card comes with fraud-tracking capabilities, allowing your company to minimize its potential losses and spot fraud early. These cards also help by eliminating the need for employee reimbursements since your employees can use their cards to make purchases for your company when they are needed. Virtual prepaid cards and virtual debit cards differ from virtual credit cards in important ways. Since these cards are linked to your own account instead of a revolving line of credit, you will not incur interest charges on your card balances. They also do not require credit checks or charge high-interest rates. The cards are numbers that are generated in the cloud and can be used to make single purchases. Once the purchase is completed, the numbers can be turned off so that they will no longer work. This helps to prevent others from gaining access to your company’s money or making fraudulent purchases with your cards. How do virtual payment cards work? A virtual payment card allows you to help prevent fraud and to reduce the risk that your employees will use the card numbers to make unauthorized purchases. The Bento for Business Visa® Debit Card lets business owners preselect spending categories and to restrict the items that can be purchased within those categories according to the individual or the department. If an employee tries to buy something else, the attempt will be instantly declined. Since the spending information is available in real time on your dashboard, you can see how your money is being spent. If you see problems, you can turn off an individual virtual Visa card instantly by clicking a button on your mobile device. These features help to stop unauthorized purchases and to end fraud early. Virtual payments have changed the way that many companies do business. In the past, businesses would have to go through a lengthy payment process to process invoices or to make needed purchases. With virtual payments, however, the need to go through those processes is largely eliminated. A virtual card can also offer other benefits such as fraud protection. A virtual payment card is a credit card number that is generated in the cloud. It can be used to make single purchases and will only work for a short period of time. This helps to keep others from trying to use the numbers to make purchases that you have not authorized. A virtual card is a good solution for businesses when they need to make purchases online. If you get a virtual card, you can use a randomly generated number that will only work for a short period or for a single purchase, which helps to prevent hackers from stealing the number and using it for fraudulent purchases. An online virtual credit card is a number that is generated by the issuing card company. While it can be used to make a one-time purchase, it cannot be used by others to trace back to your business or to access your accounts. 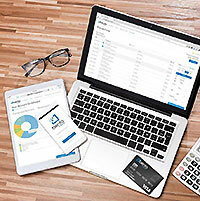 There are multiple benefits that small businesses can enjoy from a prepaid virtual credit card. A virtual business debit card and a prepaid virtual credit card are terms that are used interchangeably. Both are numbers that are randomly generated by the card-issuing company and that your company can use to make purchases. Your business can assign different numbers to different departments or individuals so that it is easier to track and manage expenses. You can place limits on the amounts that can be spent and restrict the spending that can be completed with each number. How can a business use a ghost card? What is a ghost card? Ghost cards are a type of virtual card number that may be beneficial to larger companies. Businesses can use the Bento API to issue a ghost card so that the B2B payment process is faster and smoother. Larger businesses can generate ghost cards to distribute to individual departments for easier tracking by the department. The virtual platform is scalable and flexible so that it can grow along with the business. The cards can be turned on or off when you want, and you can set spending limits and restrictions on each card. A ghost card is a randomly generated credit card number that a business an assign to a department so that the department can use it to make purchases for the company. It is not a plastic card. Instead, the numbers are virtual and can be instantly generated using Bento’s powerful API platform. How do ghost cards work, and where can I get a ghost card? These are common questions among business owners. These numbers can be assigned to individual departments. You can restrict the spending on each ghost card according to the work that the department performs and the supplies it needs. Bento for Business offers these numbers to its business customers. What is a pcard? P cards are also called procurement cards. They are given by businesses to their employees. The workers are then able to use the cards to make purchases for their companies, allowing the businesses to get rid of time-consuming purchase and reimbursement processes while minimizing losses. A P card is a good corporate card solution because it has built-in features such as spending controls and restrictions. The cards easily integrate with your accounting software so that your business can avoid errors caused by manual data entry. Businesses spend substantial amounts of money on payment processes when purchases need to be made, and the transaction costs are the same regardless of the size of the item. A virtual procurement card can help businesses to save a large portion of the transaction costs involved with their payment processes. If you are wondering what is a pcard, a virtual procurement card from Bento is a credit card number that can be generated in the cloud and then used over a short period of time to make a single purchase or a series of purchases. A Visa business card, the cards can be used at nearly any location and can allow businesses to get rid of cumbersome and expensive payment processes. How does a virtual payment card relate to a virtual procurement card? How do purchasing cards work? What is a purchasing card? A purchasing card is a type of commercial card that has become very popular among businesses because of the features that it offers. A purchasing card can be given by a business to an employee, and the employee can use it to make authorized purchases for the company when they are needed instead of having to submit requisition forms and to wait through a lengthy payment process. Between 2005 and 2008, the percentage of companies that used pcards grew to 70 percent. They are normally used by employees to complete small purchases for the companies for which they work, saving time and expenses. Many businesses are turning away from traditional payment processes in favor of a procurement card process. You can give a pcard to each individual employee to make the purchases that are needed for your company at the time that they are needed. A procurement card can help your business to avoid unauthorized purchases. You can restrict each card so that it can only be used to make purchases of the items that you have approved. If an employee tries to purchase something else, the attempt will be denied at the point of sale, and you will be notified. There are several types of virtual cards that can be used to accomplish different business purposes. An instant virtual card is a randomly generated credit card number that is created in the cloud and that can be issued nearly instantaneously to be used to make a single purchase or to pay a vendor. Once it is used, it will no longer work. A virtual purchasing card is a number that you can give to an individual employee to make needed purchases for your company over time. You can place limits on the card and spending restrictions to prevent unauthorized purchased. Finally, ghost credit cards can be assigned to individual departments within your organization so that you can track the spending across the departments of your company. A virtual purchasing card and a virtual procurement card are the same thing and are terms that are used interchangeably. These cards are numbers that you can give to the individual employees of your company so that they can make small purchases at the time that they are needed. The p cards from Bento for Business allow you to easily track and manage your expenses. You can view the purchases that any of your employees have made. The cards can help to prevent business fraud. If someone tries to buy something that you have not authorized, you will be notified, and the purchase will be declined. What is a pcard? A p card is a card number that you assign to an individual employee so that he or she can make purchases or payments for your company without having to complete requisitions and wait for approvals. These cards are great for small businesses because they have built-in fraud prevention and spending controls. Larger companies may instead benefit by choosing a ghost credit card. These are numbers that you can assign to individual departments rather than individual employees. The employees of each department can use the department’s assigned number to make purchases, allowing you to easily track spending at the department level. How can a virtual card help prevent fraud? Credit card fraud is a prevalent problem for businesses, making it crucial that you have good fraud prevention strategies in place. Choosing to make virtual payment s with virtual spend cards can help you to keep fraud from happening at your company. With a virtual prepaid card, you can restrict the ability of your employees to purchase items to those that you have preselected. The numbers are not able to be used to access money in your account or to withdraw funds. You are also able to turn the cards off when your employees are not working or when you see problematic spending. Choosing to make virtual payment s with the payment cards from Bento can help you to manage your business’s spending and expenses. It is easy for spending to balloon without tight controls. When you give your employees cards to make virtual payment s and purchases for your company with virtual spending, you can decide how much money to place on each card. You can also set spending limits by the day, week or month. The ability to set spending restrictions on each card can help you to track your expenses and to see where you might need to adjust your budget. The information integrates with your accounting software so that it uploads in real time. Bento for Business was created by veterans of the financial industry with an eye toward helping businesses to manage their expenses and help prevent fraud. The company offers Visa business debit cards that feature spending controls and a flexible API. Thousands of businesses trust Bento for Business and are loyal customers. The company has garnered high ratings, including a perfect score from Capterra and an 8.8 out of 10 from Trust Pilot. 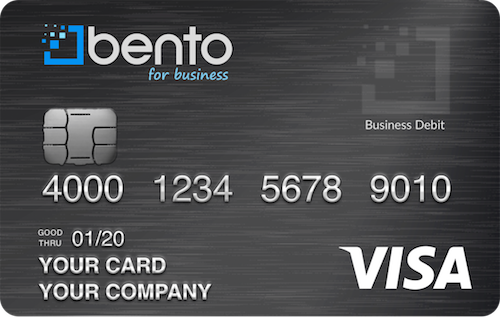 Bento offers a free 60-day trial to its business customers, allowing you to try the cards to see if they work for you. It only takes about a minute to apply, and you can get up to 10 cards for a low monthly price of $29. You do not have to qualify with your credit, and you will not be charged interest on your balances since the money is your own. To learn more or to get started, call us at 866.220.8455.